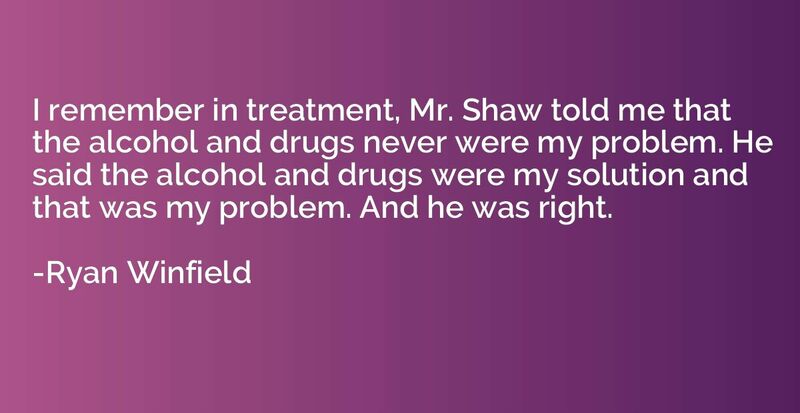 I remember in treatment, Mr. Shaw told me that the alcohol and drugs never were my problem. He said the alcohol and drugs were my solution and that was my problem. And he was right.